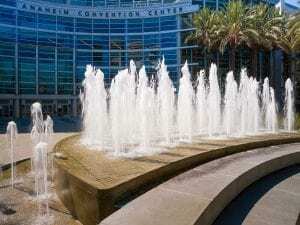 The 100,000 square foot Grand Plaza is a premiere outdoor event space and the front door to the Anaheim Convention Center. As the go-to venue for an exciting, festive nighttime experience, it provides a lasting impression to the one million annual visitors. 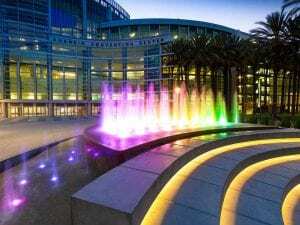 The three complex interactive water features run along the length of the Grand Plaza’s “River of Lights” simulating the Santa Ana River. 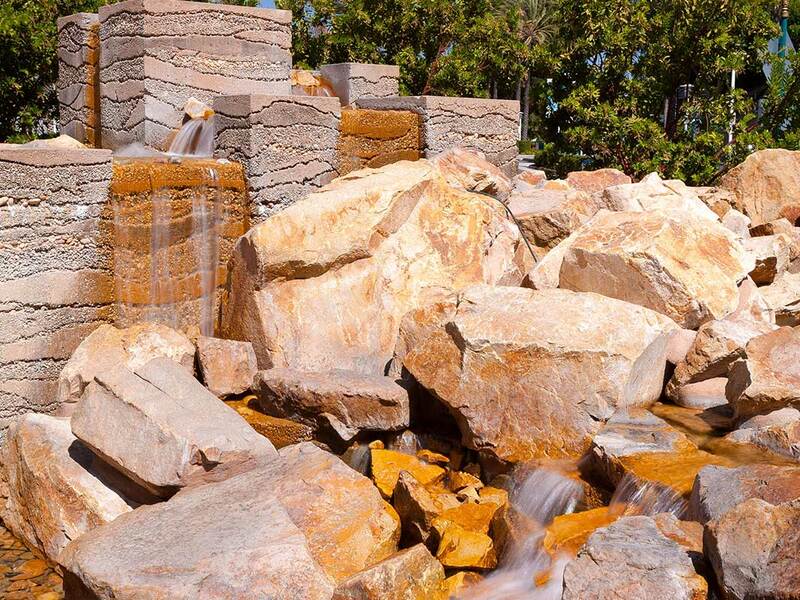 Each water feature has a completely different and distinctive look and feel, gloriously highlighting Southern California’s mountains and beaches. Closest to the Convention Center entrance is the “Ocean Fountain” with 46 jets spraying water up to 40 feet high, complete with built-in-color-changing LED lights with DMX and Mosaic Controls. 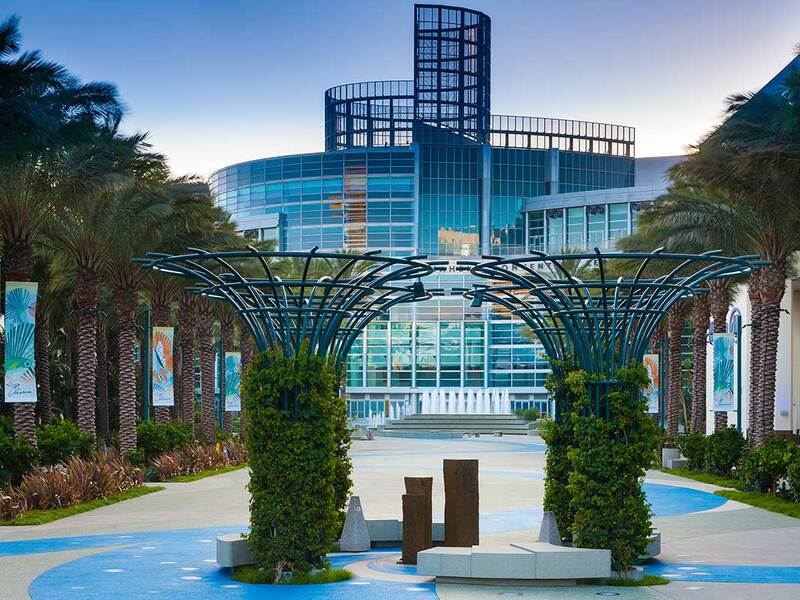 Moving towards the central area of the plaza area are three bubbling basalt rock columns of varying heights, surrounded by steel overhead arbors and patron seating. Further along the River of Lights is the “Mountain Fountain,” a water feature of still water on one side and boulders and various waterfalls over stones on the other representing the Santa Ana Mountains. 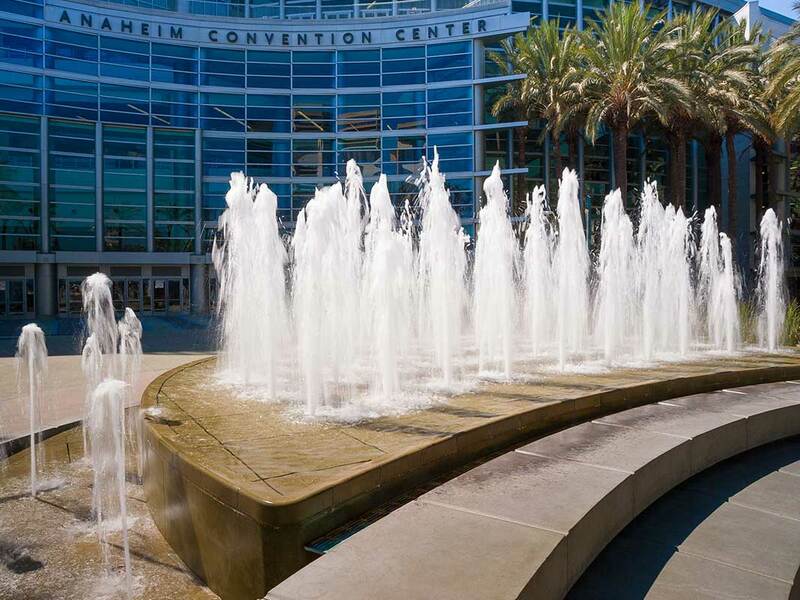 This fountain design is representative of the “Golden Mean,” a Fibonacci mathematic sequence. 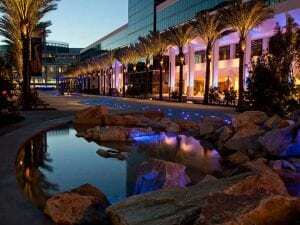 The Grand Plaza project was completed on time in a compressed and intense work schedule through constant communication and coordination with the surrounding hotels and Convention Center. 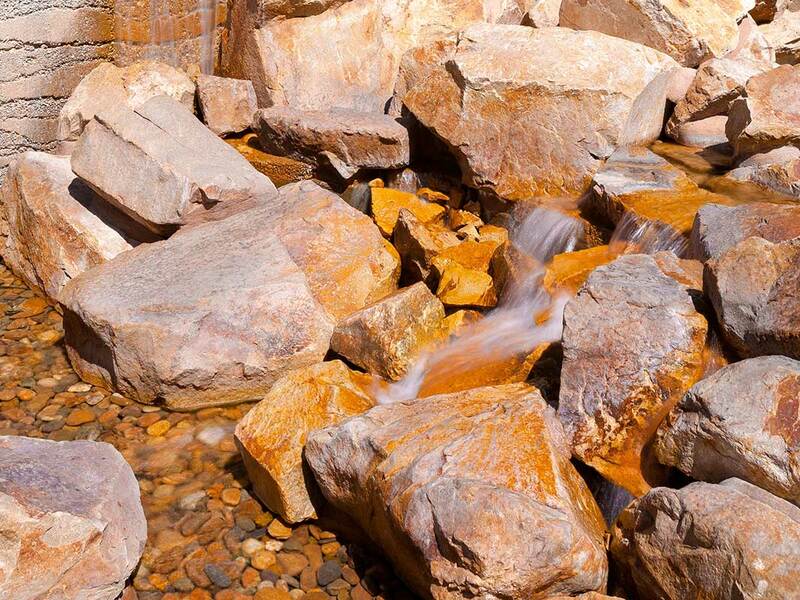 It was implemented in phases allowing the continuous operations of neighboring properties. 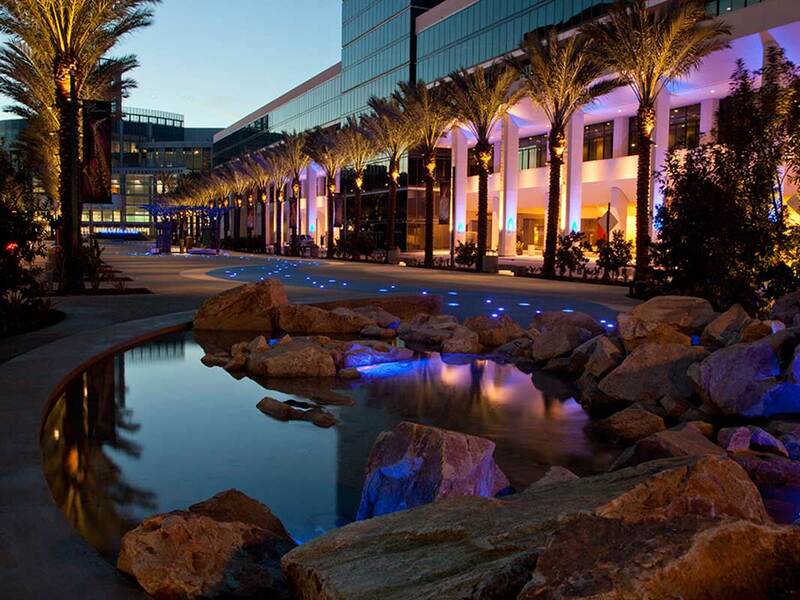 Totaling over 27,000 gallons of water, the three water features were also commissioned by California Waters as part of our signature 360° approach providing design and engineering services, construction, renovation and maintenance and repair services all under one roof.